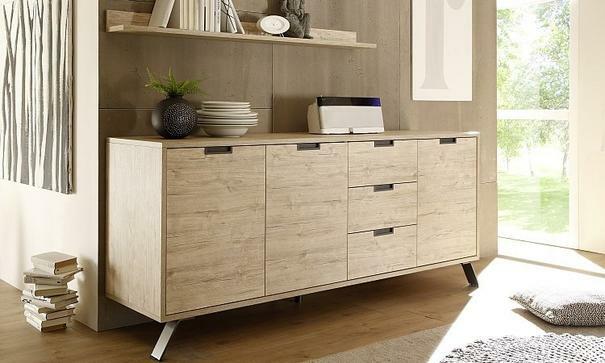 The Palma Sideboard in Sherwood Oak finish, left and right opening doors with recessed handles, internal shelf in each compartment. Three drawers. Metal legs in a bronze finish giving a sleek contemporary feel. Ideal Living and Dining Room Storage.